We’d love your help. Let us know what’s wrong with this preview of The Tangle by Aria E. Maher. It was supposed to be River's eleventh birthday. It turns out to be nothing but a nightmare. When River finds herself imprisoned in a strange house, belonging to a mysterious man called Uncle, she only knows one thing: She must escape. But every power in the house, it seems, is bent on keeping her within its twisted walls. The creatures that patrol the halls may be deadly, It was supposed to be River's eleventh birthday. It turns out to be nothing but a nightmare. To ask other readers questions about The Tangle, please sign up. The author kindly sent me a copy of her book for a honest review. This book is a really short read but it is so much fun because it is creepy. I am giving this book 3 stars because I felt like the story didn’t explain fully about the “house”, the “Uncle” or any of the supernatural elements. The book could have been longer because the story needs more of explanation and character development. I loved reading and it was scary at some points but I am easily scared so I am not sure how scary it is fo The author kindly sent me a copy of her book for a honest review. This book is a really short read but it is so much fun because it is creepy. I am giving this book 3 stars because I felt like the story didn’t explain fully about the “house”, the “Uncle” or any of the supernatural elements. The book could have been longer because the story needs more of explanation and character development. I loved reading and it was scary at some points but I am easily scared so I am not sure how scary it is for you people who read and love horror but still it is pretty creepy. This is pretty random and this didn’t affect the rating I gave the book but the cover doesn’t reflect the story in my opinion. I think an old house on the cover would have made the cover more interesting and give more of a hint to what the story is about. Overall, the book is entertaining and a fast read BUT I can’t overlook the issues that some things aren’t explained well enough. Maybe…the author thought leaving some of the more weird/creepy elements up to the reader would make the story a bit more eerie but I still feel like there is not enough facts for the reader to even draw their own conclusions. WOW. This is an incredible story. So suspenseful and creepy. It contains both an intense, thought-provoking plot and amazing characters. This is a new favorite of mine. Full review coming soon. This novel officially releases on: 11/04/17. Mark your calendars. You'll want to read this one. I usually do not read 'scary' books, but I guess because it was around Halloween, and it involved a ten- year old named River, [eve of her eleventh birthday], I thought it would be intriguing. Yes, it was that and more. Downright teeth-clicking. The story of River in the old House on Langley Hill moved fast enough that I kept going and finished the short book rather quickly. I admit to feeling relief [and some satisfaction] when I was closed the book at the end. For readers who are NOT LIKE ME, I usually do not read 'scary' books, but I guess because it was around Halloween, and it involved a ten- year old named River, [eve of her eleventh birthday], I thought it would be intriguing. Yes, it was that and more. Downright teeth-clicking. The story of River in the old House on Langley Hill moved fast enough that I kept going and finished the short book rather quickly. I admit to feeling relief [and some satisfaction] when I was closed the book at the end. For readers who are NOT LIKE ME, and are not afraid of your own shadow, you would love it! I can’t say enough about this book. Quick recap on what it’s about. 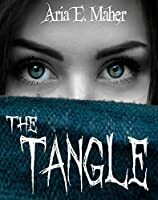 The Tangle is a young adult novel. I personally would classify it as a horror, as well. So, from the back cover we learn that the character, River, is going to be kidnapped and imprisoned in a home belonging to an odd man named Uncle. River is set on escaping, however, there are mysterious creatures that roam the halls and other factors that make escape impossible. The book definitely lives up to the description. The description of I can’t say enough about this book. Quick recap on what it’s about. The book definitely lives up to the description. The description of The Tangle definitely gave me a foundation of what to expect without giving away too much. So, when this book began I was a little like “What is going on? This is super creepy.” Like I said, River is imprisoned and is trying to escape. And I, obviously, am rooting for her every step of the way and also shaking in my boots because, not only does she face failed attempts, but also because of the odd ways that her attempts fail. The creatures mentioned in the description of the book are not explicitly explained. Well, their forms are, but not WHAT they are. This lends an unnerving suspense to the book, because you don’t know what’s out there, what’s waiting, what’s chasing River. I’m not going to lie, for a fair portion of the story I was worried that I would never know what truly happened. I was concerned that what/who the creatures were would not be explained. But they are, and at just the right moment when things have been building up. There were some things about the book that I found unrealistic while I read it. However, like I said, they are eventually explained and then it makes sense why they seem unrealistic. For instance, how such young kids can do seemingly impossible things—like survive falling from a very high roof, or the amount of blows to the head they survive in just a short period of time. Overall, I think this was a good book. I think it makes for a good suspense and horror. It is a young adult novel, so it is a quick and easy read. It comes in at just over 160 pages, and those pages are packed with action. And it’s just one of those books that you can’t put down. I read this in just a few short hours—I had to take a break in there because I was attacked by a bird while reading a particularly frightening scene and I needed a moment to collect myself. But yeah, I devoured this book. Like I said, there is just so much action packed into such a small book that you just have to know what happens next. So, the book starts out told from the 3rd person perspective of River, and it continues that way for a while, until it adds Sam, another hostage with the desire to escape, which adds a ton of dimension to the story. Between River and Sam’s perspectives we get a really rounded out view of what is happening in the house—a newbie’s perspective versus a veteran’s. However, towards the end we also get into the mind’s of Reginald—the doctor—and Uncle, and even a handful of other characters briefly. Now, I don’t usually like books that go back and forth between so many POVs. I love two. Three can work. But I’ve never read a book that switches between so many POVs successfully. Maher definitely did make it work. I think part of what made it successful was that the switches in POV were obvious—each marked with a new section spacer. Also, she used the POVs to develop the story, making them necessary. Had we only received River’s, or River and Sam’s, accounts of what was going on in the house, we would have lost a lot. Something else I liked about the book is the mind games it plays on you. This we get from switching back and forth between the POVs. This book started to make me question reality practically. I had about ten conspiracies running through my head about what was really going on. Let me tell you now, none of my guesses were correct. I’d say the characters are not really developed in the traditional sense—we do not learn their background, who they were before they were imprisoned. But we do learn of who they are within their imprisonment. We learn their personalities and they stick to them. The characters each act within the parameters of what I had learned to expect from them. I think that’s pretty amazing. You know, in 163 pages I didn’t learn about WHO these characters are in real life, but I learned exactly how they would act and I feel like I came to know them on an even more personal level. I don’t need to know what their childhood was like or what their favorite anything is. I got to know them by their actions. And I think that is how you really come to understand a person—or a character. As far as my rating, I would give this book a 4 out of 5 stars. It’s definitely a book I would read again. It’s a book I would give to my teenage nieces to read, and a book I would encourage my friends and family to read. It’s just a good little book. Why I’m not giving it 5 stars is merely because sometimes I felt the pace was a little fast—there was just constant movement it seemed like, despite multiple injuries in a short period of time which seems like should have slowed the characters down. That and I felt like the house’s layout wasn’t really described as well as I would have liked. I know that River is new to her “prison” and doesn’t know the layout, but Sam does and yet throughout the entire book I really didn’t get a feel for it. It just seemed like there was always a new staircase, a new hallway, a new secret passage. Also, there seemed to be a lot of empty spaces in the walls and floors which also seemed unrealistic. River wakes up in a strange room in a strange house with strange people and a haunting, Angry Man who carries a shovel. There is no way to escape the house; there’s never enough time. All the children Uncle has were once normal people, but over time turned into mindless dolls. But with the help of an unlikely group including a doctor, a boy, and a shapeshifting cat, escape from the endless twists and turns and dead ends of shadows becomes a possibility. Wow. I loved everything about this book. I’ River wakes up in a strange room in a strange house with strange people and a haunting, Angry Man who carries a shovel. There is no way to escape the house; there’s never enough time. All the children Uncle has were once normal people, but over time turned into mindless dolls. But with the help of an unlikely group including a doctor, a boy, and a shapeshifting cat, escape from the endless twists and turns and dead ends of shadows becomes a possibility. Wow. I loved everything about this book. I’ve never read a paranormal book before, but this was a great introductory to the genre. At first, all I knew was that the main character, River, is in a waking nightmare in a house that is not her own. There’s nothing to go off of at first until she escapes from her room and discovers the rest of the house, the Angry Man, the mindless dolls that Uncle calls his own, and Sam, a boy in much the same situation as her own. Uncle claims to be the uncle of everyone there, but only the once-human robots believe him. River knows better. Basically, the whole plot surrounds the escape attempts and the running away from the Angry Man with the shovel. The suspense kept me reading, and at first I wasn’t sure what the story meant. It was hard to understand where the story was going and what was happening and what the villain, Uncle, was trying to do. I tried to find symbolism and meaning that the author was, apparently, so mysteriously weaving into the tale. And then I realized that there might have been no intentional meaning behind the story at all, that the author wrote the story, probably knowing that her readers would each get something different out of it, seeing that our perspectives are each unique and different. I began to relate to River in a metaphorical way; that’s when I realized that the whole story was a metaphor. Only after I finished the story did I realize that in my perspective, River was a portrayal of each one of us, trying to escape our own demons who whisper illogical fears and lies about ourselves. In a later scene, River finally encounters the Angry Man face to face and sees her own face when she looks at him. I took this as a representation of us identifying ourself as our own demon—like a resolution, if you will—of trying to run away from the voices in our head, and yet instead finding these voices to be coming from ourselves. I also loved the writing style. It was simple, yet elegant, with a feel that helped me to really feel the horror. I also thought that the descriptions and metaphors were unique and done very well. The characters were all different and one-of-a-kind, particularly Flint. There wasn’t a whole lot to the worldbuilding, but again, there didn’t need to be. It all took place in a house with an Angry Man and an Uncle, and through the eyes of the innocent prisoners, we slowly begin to understand the situation and what exactly makes Uncle the antagonist. I had the privilege of winning an e-book copy of this book in a recent giveaway. I looked forward to reading said creepy book, listed as a supernatural thriller. The following review should be taken with a grain of salt, as I happened to read the book when I was extremely sleep deprived and probably could have used more coffee, more naps, and fewer books. For most of the book, I wasn’t really creeped out. It was more intrigue that kept me going. The story opens up in Uncle’s house, so I didn’t h I had the privilege of winning an e-book copy of this book in a recent giveaway. I looked forward to reading said creepy book, listed as a supernatural thriller. The following review should be taken with a grain of salt, as I happened to read the book when I was extremely sleep deprived and probably could have used more coffee, more naps, and fewer books. For most of the book, I wasn’t really creeped out. It was more intrigue that kept me going. The story opens up in Uncle’s house, so I didn’t have much time to connect with River before she’s shoved into a straightjacket. That and I was rather confused as to what was going on. Part of the way through, the POV switched. Some of the descriptions were vague. And there are still so many unanswered questions. Who was Uncle? How does a boy turn into a were-cat? Where did the Angry Man come from? And last but not least, is this all some big metaphor for something? Often times, I think more fictional stories as a whole could take after historical fiction novels and include an author’s note. (Half the books featuring characters with mental illness have a note delving a bit more into the background of said illness and where people can get help, and half of them don’t.) I want to say this story reflected some of the aspects of human trafficking (kidnapping, manipulation, murder, and that “dead-eyed stare”), but I really can’t be sure. Maybe I’m reading too much into the story? Still, I feel like some of the larger elements, like the theme and the purpose of the story, could have been fleshed out a little more. But I still think the author, Maher, is onto something. The climax was great. Perhaps the story addresses how we’re often prisoners of our own darkness. Or as the the Angry Man put it, “Everyone wants to be little gods of their own universe.” *shudders* I didn’t expect one of the book’s major themes to be reflected in the words of one of its villains. This was new for me, because I've never read paranormal suspense before. I have to admit, the book didn't scare me at all, and at times I felt it was trying too hard to be scary. I learned about it from Hannah Heath's author interview with Aria E. Maher, where Maher confessed that some of the scenes scared her while she wrote them, and I can see how they would have been scary to write, but to read...I don't know. They fell flat for me, but maybe I am a soulless muffin. Aside from that, I really e This was new for me, because I've never read paranormal suspense before. I have to admit, the book didn't scare me at all, and at times I felt it was trying too hard to be scary. 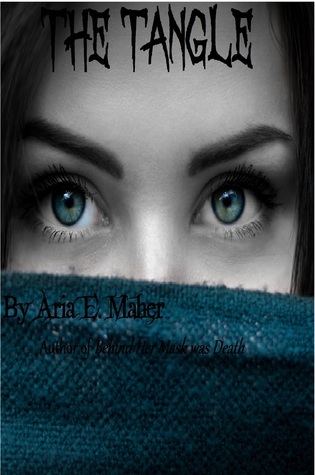 I learned about it from Hannah Heath's author interview with Aria E. Maher, where Maher confessed that some of the scenes scared her while she wrote them, and I can see how they would have been scary to write, but to read...I don't know. They fell flat for me, but maybe I am a soulless muffin. Aside from that, I really enjoyed the book. It's surreal, about a little girl - River - trapped in a death house. The layout of the house, the cryptic Angry Man, the monstrous Uncle, reminded me of the video game Little Nightmares. I was admittedly confused about what the point of the book was supposed to be, but the storytelling and characterization is very good. My favorite part of this story is how it deals with religious undertones in an inventive way. A character showed up about three quarters through the book who I was sure was going to be a Christ figure. Whether he was or not, I'm still not sure, but he rocked the expectations I had for this trope. The book seems to use Christian themes as inspiration, but doesn't constrain itself to the cliche way these themes are "supposed" to play out, which I appreciated greatly.